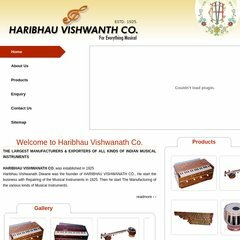 www.Haribhauvishwanath.com - Welcome to Haribhau Vishwanath Co. The site has about 19 users daily, viewing on average 3.00 pages each. Serverbeach California is the location of the Apache/2 server. There are 6 DNS records, such as ns15.dnsmadeeasy.com, ns10.dnsmadeeasy.com, and ns11.dnsmadeeasy.com. Haribhauvishwanath.com's IP address is 72.51.46.45. PING www. (72.51.46.45) 56(84) bytes of data. A ping speed test response, is timed at 57.7 ms.